Scaling is the most common winter damage to concrete surfaces. Water is absorbed into the capillary spaces in the concrete and when the temperature drops, this absorbed water freezes and expands. This creates pressure that forces flakes of the top layers of concrete to loosen from the surface. As the temperature fluctuates from below freezing to above freezing, this process is repeated. Deicing increases the number of freeze-thaw cycles. Another stressor that is related to scaling is exposure to ammonium fertilizer. Polyjacking.com, a division of Pro Foundation Technology, is the solution for your concrete scaling in Kansas City, St. Louis, and the surrounding areas. We have the experience and use the best products for concrete repair. 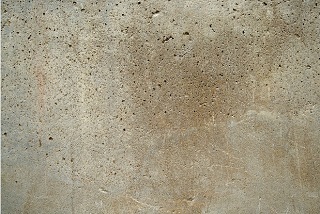 Don't let scaling concrete in and around your home or business take away from the beauty of it. Let us look at your cement and give you the repair solutions that are needed. Polyjacking.com uses concrete grinding to repair scaling concrete in Kansas and St. Louis. 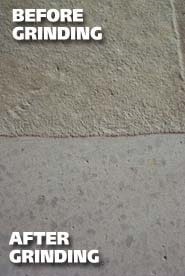 Concrete grinding involves the use of both metal bond and resin bond diamonds. The grinders are so effective that even large repairs are done quickly and efficiently. Concrete grinding will repair your scaling concrete in Kansas City and St. Louis. It is often the first step of the concrete surface preparation and repair process. After grinding the concrete, we seal the surface to protect it against dirt, stains, and abrasions. Concrete grinding is implemented to scaling concrete in warehouses, restaurants, manufacturing facilities, automotive shops, showroom floors, residential interiors, garages, and more. We will inspect your concrete and give you a free quote. Contact us today to learn more about our concrete scaling solutions.